Interior designer Kelly Hoppen is launching an awards programme to help talented young Chinese designers establish their careers. 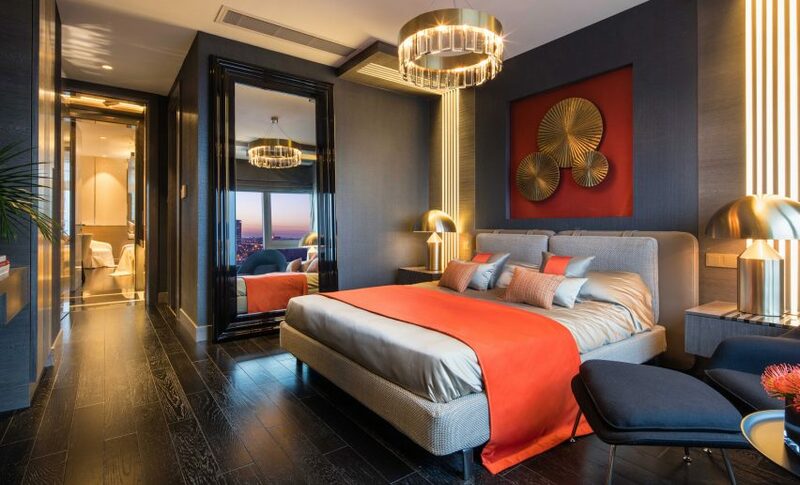 The Kelly Hoppen International Design Awards will launch during the Design Shanghai fair in March next year. "One of the reasons I'm doing these design awards is that there are some insanely brilliant designers coming out of China," Hoppen told Dezeen. The awards will feature nine categories, including an up-and-coming category for emerging designers. In future, the programme hopes to offer scholarships and grants to young talents. The awards will aim to help female designers in particular. "Kelly noticed a clear lacking within some realms of support for up and coming designers especially the female design community," Hoppen's office said in a statement. Hoppen will host the inaugural programme with Hong Kong architect Steve Leung. Following its launch in China the programme will travel to other key cities around the world. Hoppen said she is launching in China because she felt a strong affinity with the country, where she is working on multiple projects. "One of the reason I love working in China is the fact that they appreciate great design," she said. People in the west are "a bit blase" she said, whereas in China there is an excitement about design. "Over there everything is new and exciting, and they're just sponging up great design, and design ideas," she said. "My following is so incredibly huge over there; it's quite overwhelming for me sometimes." The statement announcing Hoppen's awards programme claims there are 20 million architects and designers in China, and states that the interior design industry grew 13.7 per cent in 2015 and is worth $623 billion per year. Spending on luxury goods in China is expected to hit €74 billion in 2020. "Think things have changed hugely in China, Taiwan, Malaysia... it's all very forward thinking," Hoppen said, adding that western stereotypes about Chinese copying were out of date. "It's fascinating because many years ago they copied everything," she said. "Today, we will do projects and ship entire homes over to China, and we have to give authenticity documents and certificates of where every piece of furniture comes from: its factory, its make, to ensure that that it's not made in China." Chinese designers are in some ways more sophisticated than those in the west, she argued. "I would say that they're not behind us, they're very much alongside us. In certain respects, they're maybe a little bit more advanced in terms of space awareness and lighting design. Plus the money that they have to spend on projects is extraordinary." Her comments chime with those of Shanghai architects Lyndon Neri and Rossana Hu of Neri&Hu, who told Dezeen earlier this year that Chinese designers are no longer copying the west and are "developing their own language". Born in South Africa and based in London, Hoppen is one of the world's most successful interior designers. She is famous for her neutral colour palette featuring her signature colours, beige and taupe.